I don't get this. What just happened? 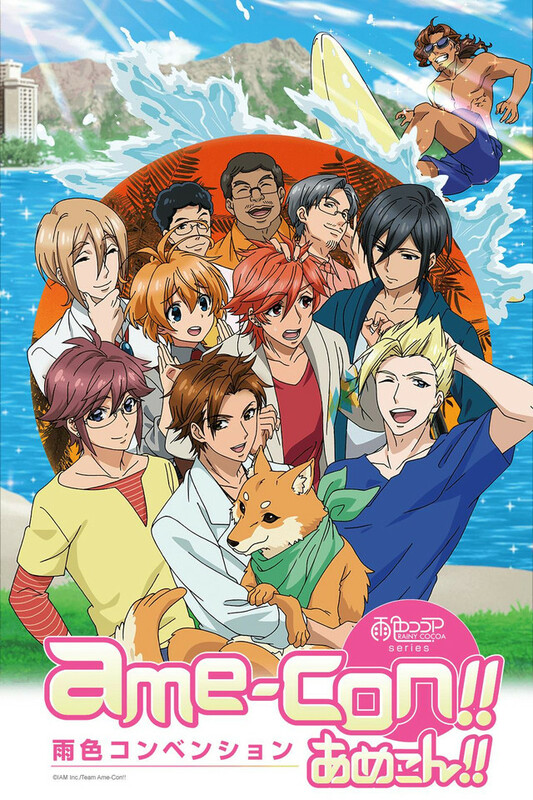 Sooooooo.... From what I could gather, this is a show about some guy who moved to Hawaii to open a... Café? Because you can't open one in Japan? I don't know, that's not really explained. Not that it even had a chance to be explained, this show as a total is only 2 1/2 minutes long. 30 seconds of which is taken by the opening, and another 30 seconds is taken by the ending, so what you're left with is 1 1/2 minutes to establish a story. That is not enough time. Even most shorts have around 3 minutes going for it. So, what's the story? Some guy's family called from Japan to check up on him, and he reveals that business has been tough, so he gets a dog to attract customers. That's it. I think. It went by a little fast. As for the characters... I don't know. There's not enough time to establish them. From what I saw though, they didn't seem all that interesting. And the animation and voice acting? It's acceptable. Bottom line: It all comes down to runtime. There's not enough of it. I'm willing to bet that reading this very review has taken up an equivalent amount of time than just watching the darn thing. Yet, I can't help but feel like had this been a full length series, it still wouldn't be anything special. So, yeah. Just give this a pass. There's not much to miss here. EDIT: Apparently this is actually the 4th season of some show I didn't watch. I don't know if watching the previous seasons would help any, but I will say that doesn't automatically fix this series flaws. It's still far too short and forgettable. I’ve only been a Crunchyroll member for a year and I look forward to every season. It would have been nice to know that this series was on its 4th season. I watched the first episode and had no idea what was going on till another review mentioned there’s three other seasons. It would have been nice to be made aware, also you don’t offer the other 3 seasons as well. Prior to watching this one. You can watch them all in about 3 hours max. This will establish who the owner is and who he is recommending for his Hawaii branch. Now going beyond that, I was looking forward to this as it is a cute little show that is pretty quick. There is a lot of bromance - blushing here in this show :3 so if it is your thing then wonderful! I will update my review on this show after the end of the season, but just wanted to make this since 2 others seem to push people away from trying it out. Basically a sequel to the last season. The last season was about our main character opening a coffee shop in Hawaii. This is still set in Hawaii but most of the cast has been changed out but the places are real. Including Japanese bookstore Hakubundo and anime convention Kawaii Kon(the font for the logo matches that of the Kon). Mostly big points for getting those right. I wonder how many visitors from Japan will show up to visit the store and the convention? um. let me see if i can help you. the show is like decaf coffee, what's the point. seriously. what. is. the point. there, i saved you 20 minutes. Want 3 minutes of your life you'll never get back. This is the show for you! There's no plot at all. What I think was supposed to be the big joke in the first episode fell very flat. Boring characters. There just isn't any compelling reason to watch this show.